Texas election authorities declared Governor Greg Abbott the winner of Texas’s gubernatorial election on Tuesday night. 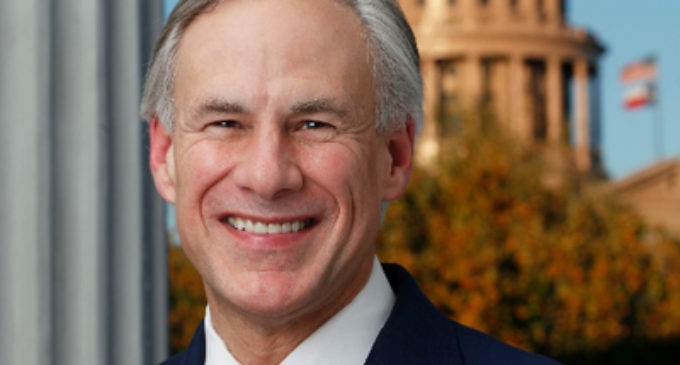 Abbott won re-election over Democratic candidate Lupe Valdez by a margin of 13.77 percent. At an election night meeting in Austin, Abbott delivered a victory speech calling for unity and perseverance in Texas. Abbott also laid out several key areas in which he believes both Texas Democrats and Republicans can work together. Abbott’s campaign viewpoints ran the typical gamut of conservative politics, advocating for pro-life legislation, Second Amendment protections and enhanced border security. Analysts predicted Abbott would safely gain re-election, with pre-Election Day polls consistently placing him ahead of Valdez throughout the campaign season. Abbott’s win marks the seventh Republican victory in the Texas gubernatorial election since 1994, when former Republican President George W. Bush unseated Democrat Ann Richards for the position. Since then, Democrats have had difficulties gaining seats in Texas executive offices, though Valdez displayed stark differences from past Democratic candidates. Valdez was the Latino and openly gay gubernatorial candidate for the state of Texas. Even after her defeat, Valdez addressed her supporters with positive messages over Twitter. Abbott’s re-election sets him to hold the office until at least Jan. 2023.